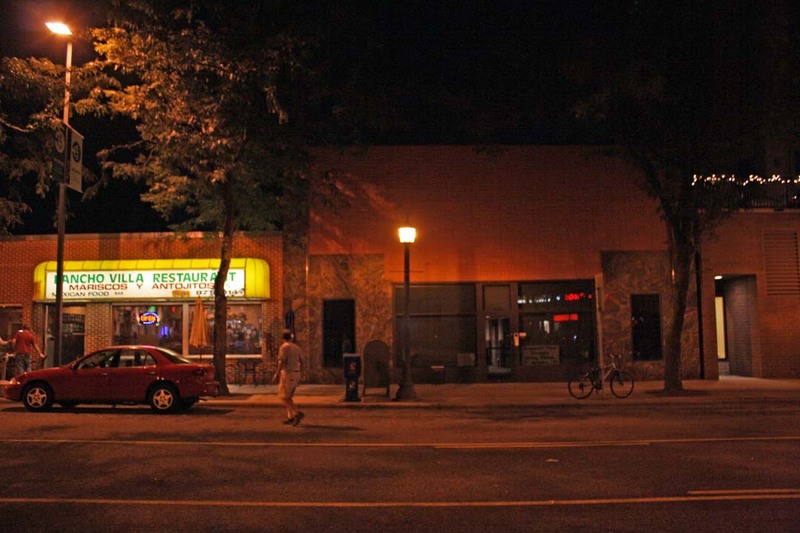 The 2500 block of Nicollet Ave was home to Nicollet Studios and the adjoining Hüsker Dü offices in the mid-80s. 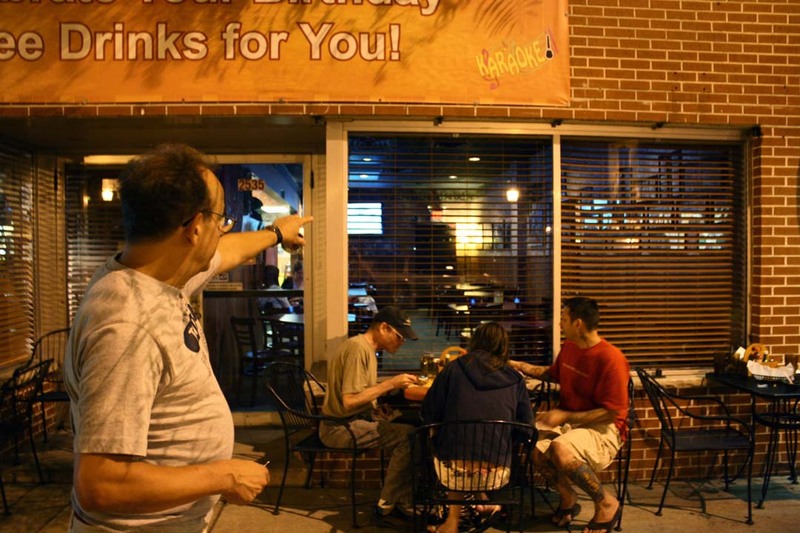 The former office space is now a Mexican restaurant. The studio space, occupying the taller building on the right, was still in use as a studio when the photos bellow were shot in Aug 2011. 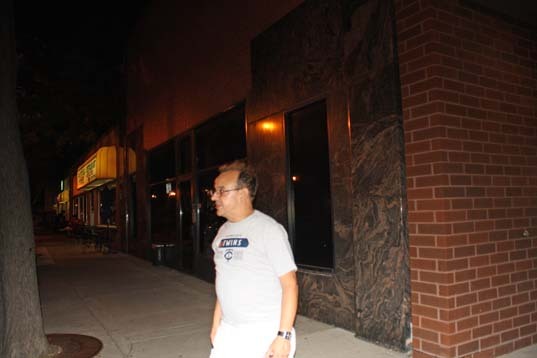 Terry Katzman points to the approximate location of Bob Mould's desk in the former Hüsker offices. 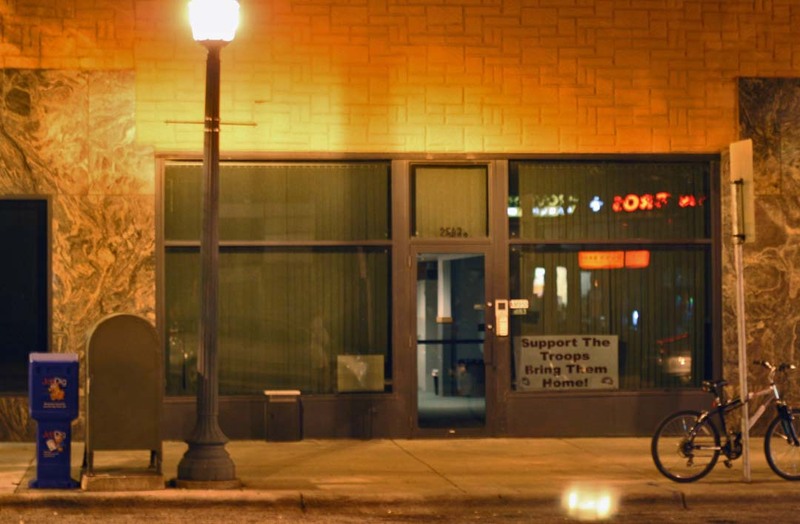 The 2535 door is just to the left of the Pancho Villa sign. 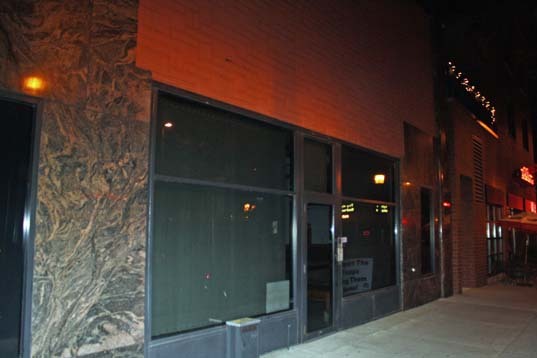 The former Nicollet Studios were located at 2541 Nicollet Ave. The studio space as of 2011 was occupied by Creation Audio (using the center entrance at 2543). The last four Hüsker Dü studio albums were recorded here: New Day Rising, Flip Your Wig, Candy Apple Grey, and Warehouse: Songs And Stories. The Could You Be The One? promo video was also shot in this neighborhood, in a large warehouse-like building across the street (which, unfortunately, it was too dark to photograph).